The University of Western Sydney (UWS) has selected Parramatta Square as its preferred site to deliver the University’s new flagship campus tower. Leighton Properties, 169 Macquarie Street is part of one of Australia’s biggest urban renewal projects and is expected to turn the western suburb into a university city. Leighton Properties has signed an option agreement to acquire the 4,132 square metre site from Parramatta City Council. The proposed new campus, which will be owned by Leighton Properties, will cover 26,000 square metres over 14 storeys, and will be home to over 10,000 students. They have created a modern design scheme, featuring a side core and central atrium, which delivers efficiency, flexibility, connectivity, and abundant natural light – key elements that meet UWS’s requirement. Lord Mayor John Chedid said he was delighted UWS had selected the first stage of the $2 billion Parramatta Square project, known as '1PSQ' or 'One Parramatta Square', as the preferred site to build the new CBD campus. Cr Chedid said Council would sell the site to Leighton, which would provide innovative public domain facilities for community use. "I congratulate UWS and Vice-Chancellor Professor Barney Glover on this visionary move that will further boost Parramatta's reputation as a smart city based on centres of excellence in research, education and technology," Cr Chedid said. 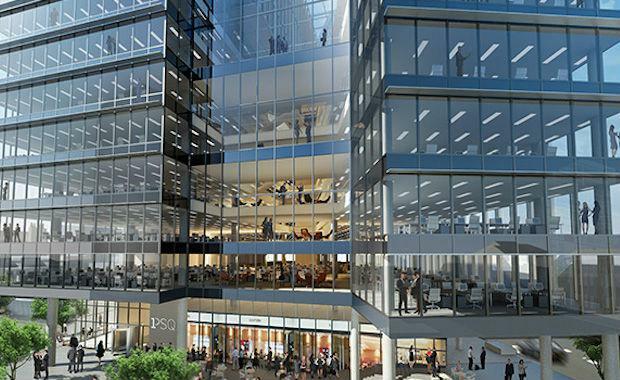 Managing Director of Leighton Properties Mr Mark Gray said it is an exciting time for Leighton Properties, as 1PSQ is the catalyst to the Parramatta Square master plan and will make an iconic contribution to the Parramatta central business district. UWS Vice-Chancellor, Professor Barney Glover described the development as an important milestone in the university’s history. “We look forward to working with both Leighton Properties and Parramatta City Council to progress the final details for presentation to the UWS Board of Trustees at the end of August for its final consideration and approval. "1PSQ is the first stage of Parramatta Square; a six-stage, three-hectare master plan development by Parramatta City Council. The master plan will potentially include approximately 190,000 square metres of commercial and retail development, more than 500 apartments, and 7,000 square metres of new council facilities including civic administration, a community centre, and a new library. Construction work is expected to begin in early 2015 and be completed for the first university semester in 2017.